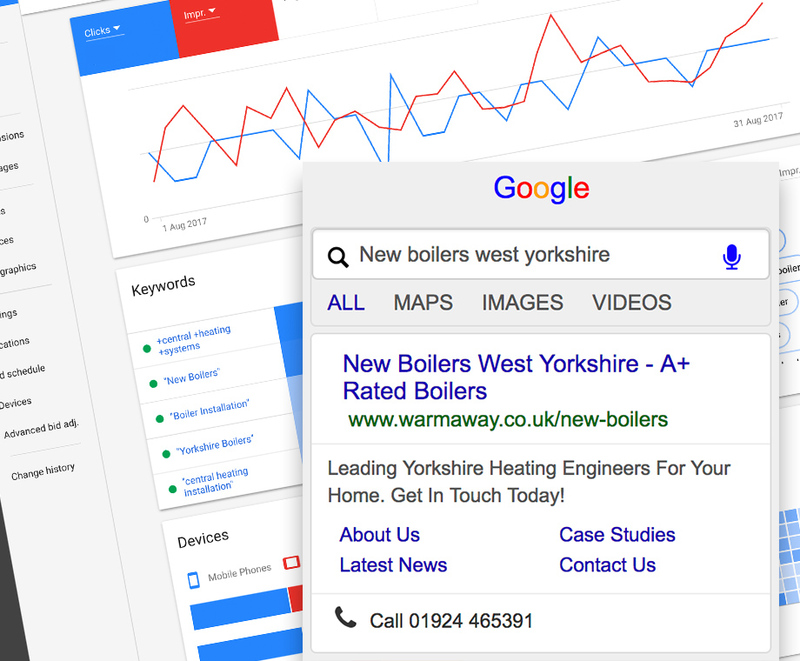 Warmaway are leading the way as Yorkshire’s heating engineers, bringing their family-run values together with highly skilled engineers. The company has recently taken on large commercial clients and are paving their way to the top. We were commissioned to assist with this growth by overhauling their digital presence. 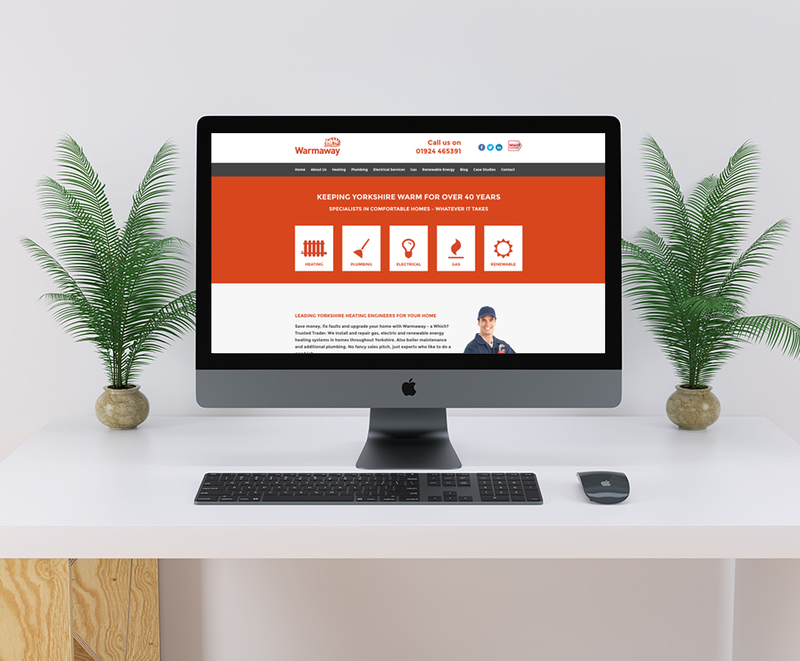 We designed and developed a responsive website for Warmaway to showcase all of their services and provide a strong online presence for the brand. It serves as a great way to link back to Warmaway from the other services we provide for them. Click here to see Warmaway's website. 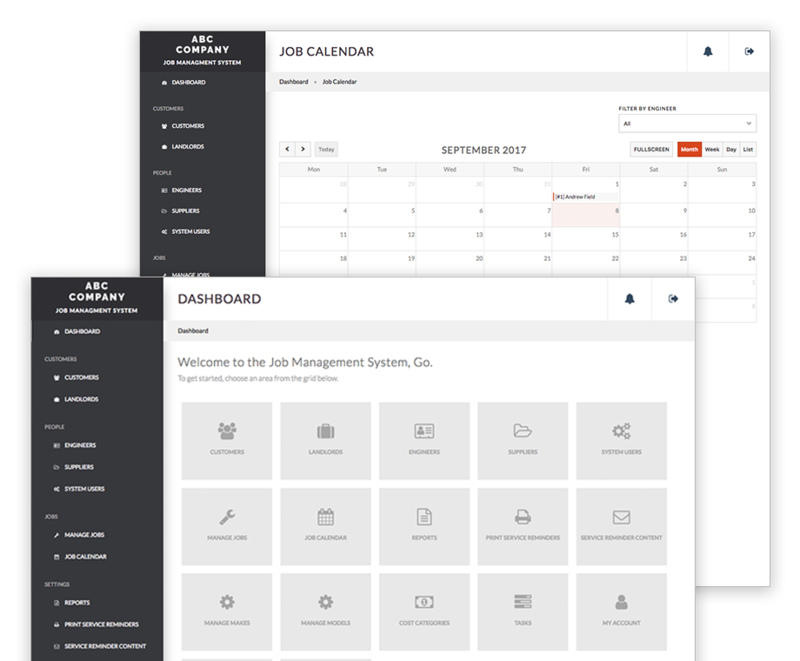 Our JMS was a perfect solution for Warmaway to manage all of their jobs through a simple job calendar, the jobs come through to the office and can then be assigned to an engineer who will receive a notification of the job. Initial research and advice was carried out for Warmaway to see how they would fit in around competing companies. We developed a strategy that would improve their visibility in Google’s search listings, and in turn it has led to potential leads and new customers. 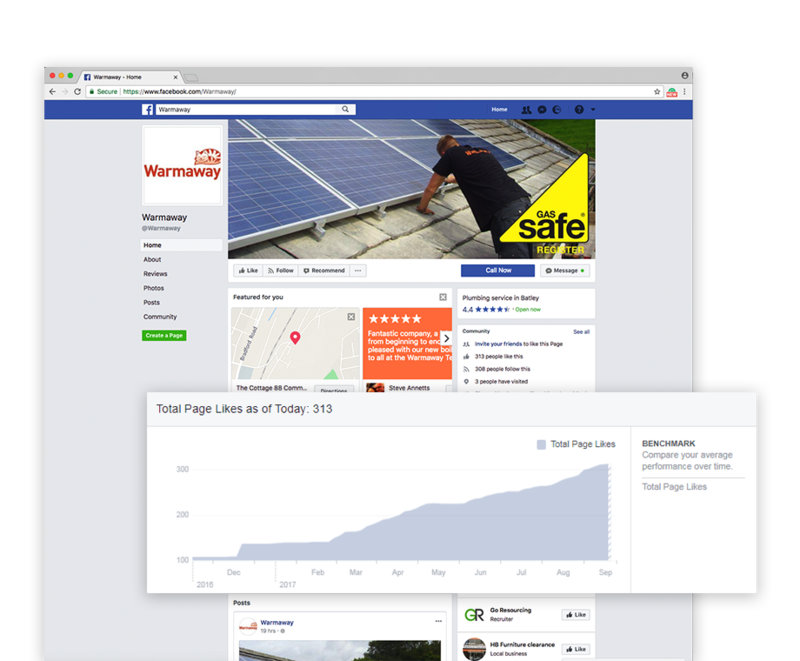 Warmaway had previously used Facebook, however had left it inactive for a while, they wanted to boost their social media presence but didn’t have the time or expertise. We took over the management, ensured the page was set up properly and now continue to manage the page, including graphic creation and running of Facebook advertising. 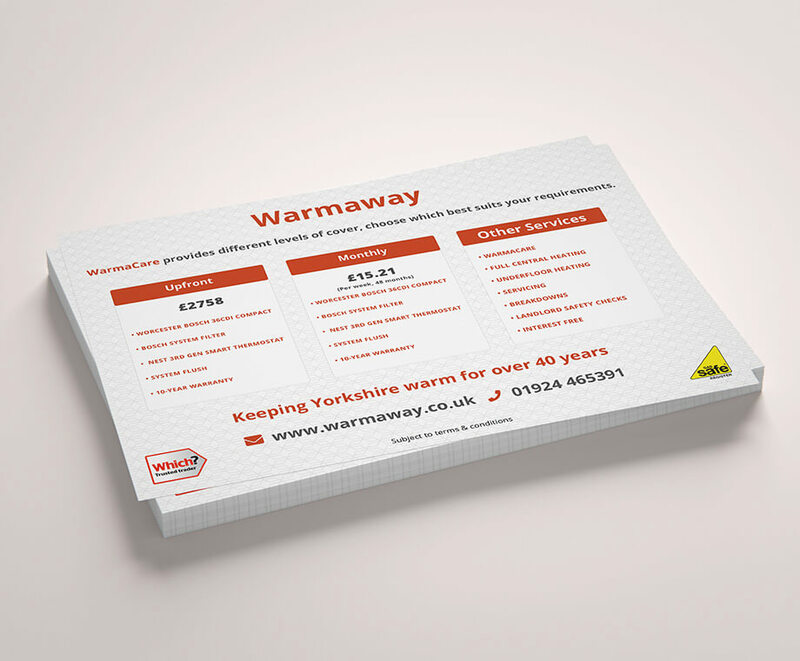 To help promote Warmaway's services locally, we designed the team some leaflets for them to distribute in and around West Yorkshire. 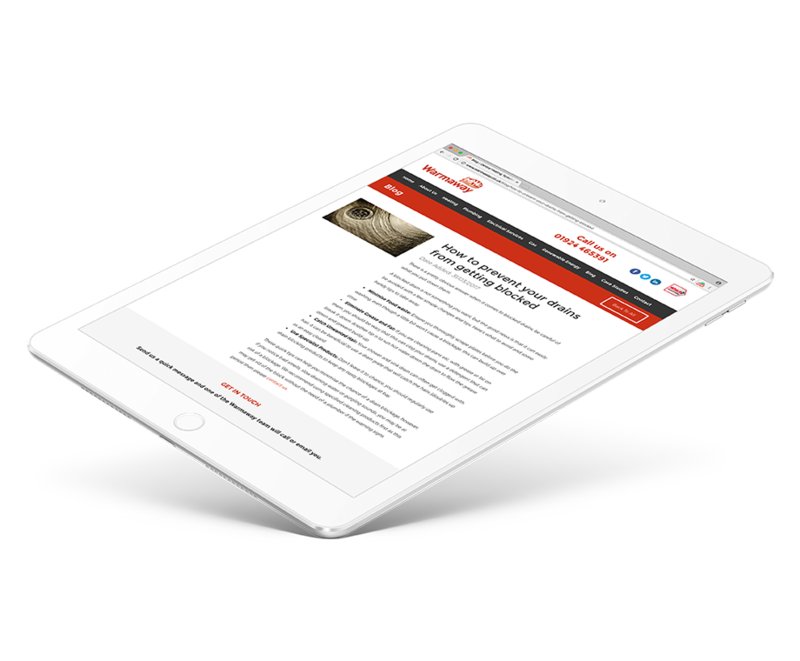 To coincide with their new website and social media, we advised that Warmaway added a blog to their website to keep the content up to date and provide valuable information to their audience. We create and publish 2 blogs a month. 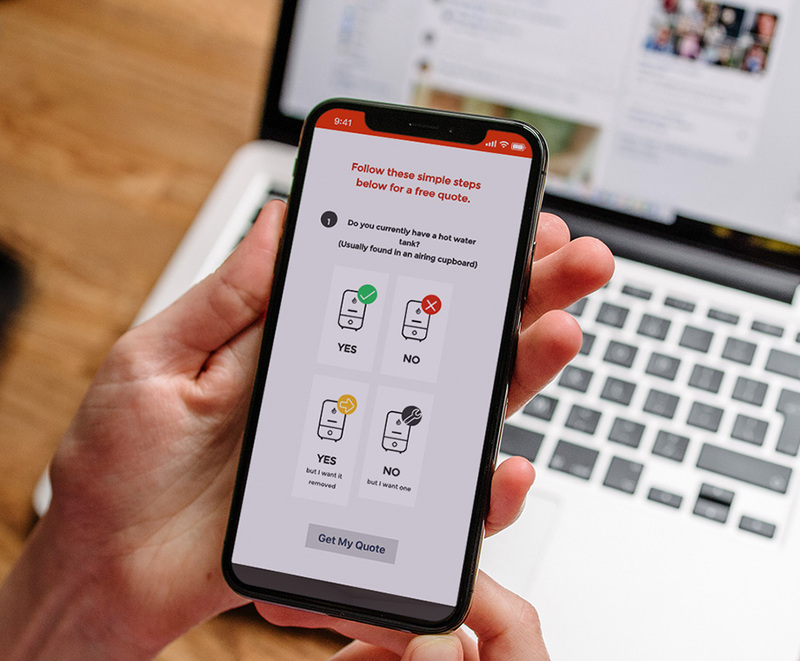 To help with a new campaign to boost boiler sales, we created a landing page with a responsive, built-in quote builder for customers to use directly on their website. Go Media helped us develop a system with all the features we specifically need, even things that regular job systems can’t offer us. We’re also continuously working with them for our marketing strategy and look forward to doing so for the foreseeable future.